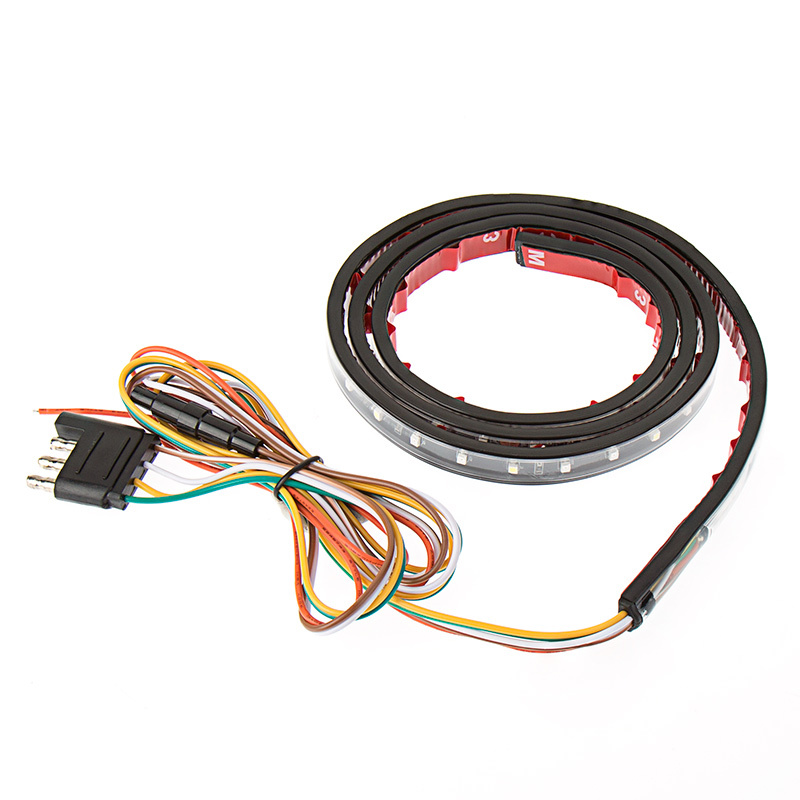 LED Tailgate Light Bar - 4-Pin Connector: LED Tailgate Light Bar Being Connection To Power. 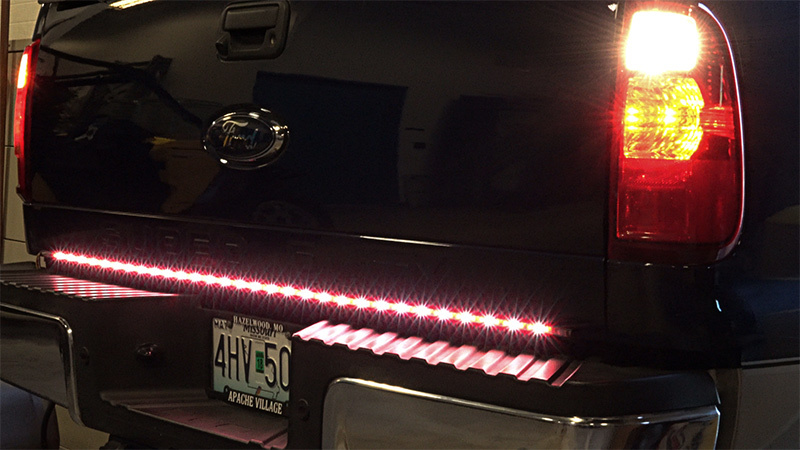 Increase the visibility of your truck, SUV, or Jeep with this LED Tailgate Light Bar. 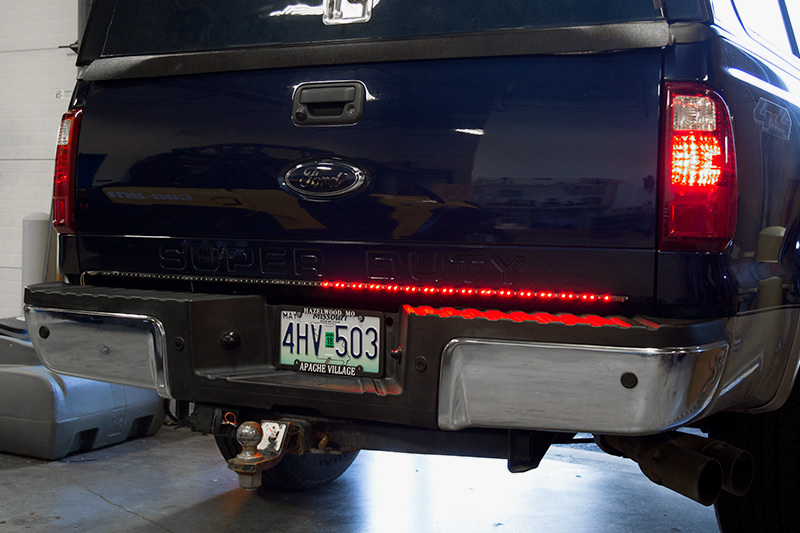 Using a combination of red and white LEDs, the super slim, flexible tailgate light bar functions as a brake light, running light, reverse light, turn light, and hazard warning light. 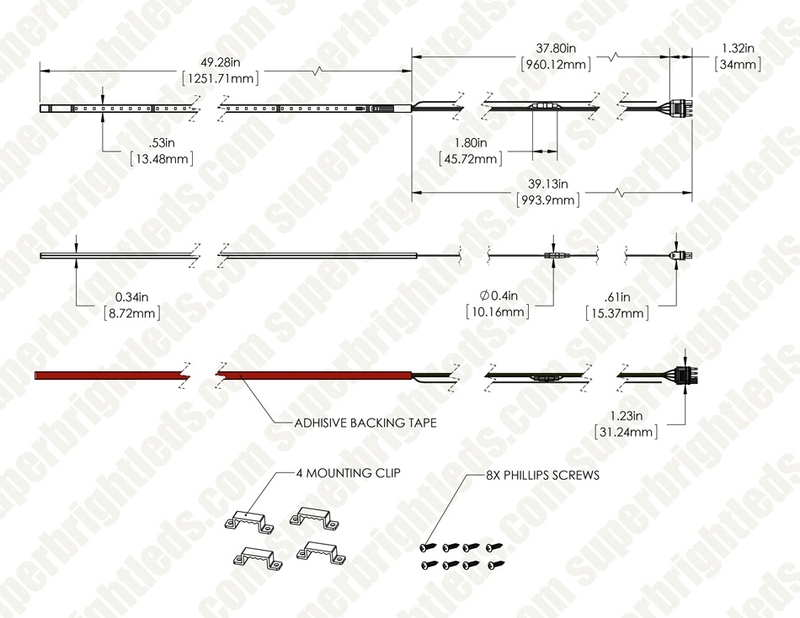 The vehicle light bar is available in 60" and 48" lengths, is completely waterproof, and operates within a 12-14 VDC range. 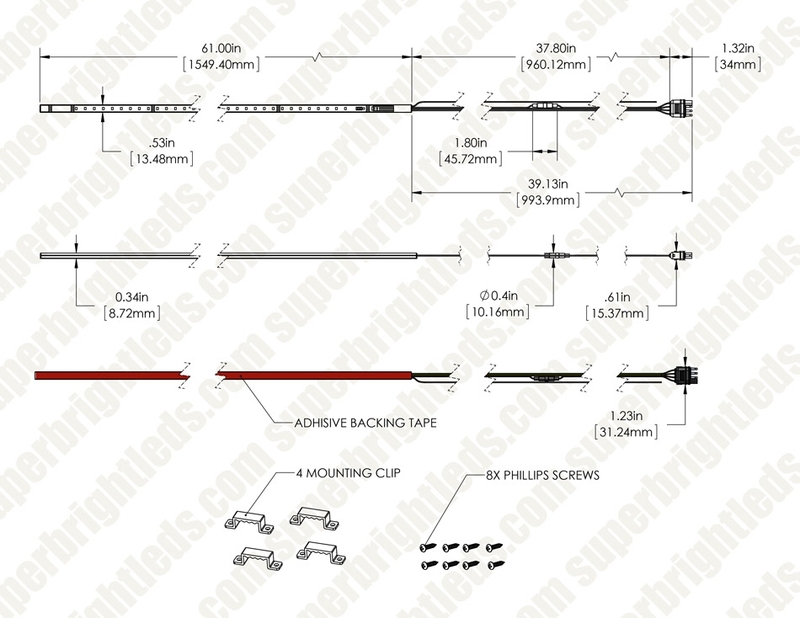 Each light has a strong adhesive backing and comes with mounting clips and screws for added security. 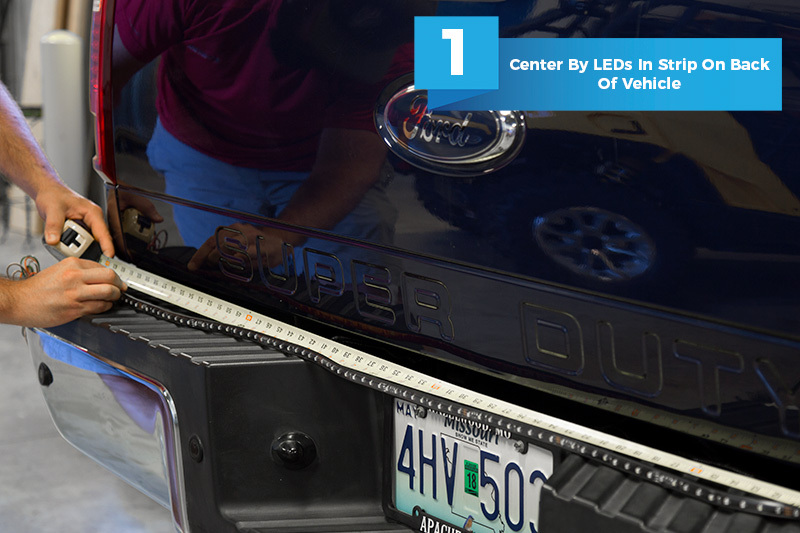 Easily wire the LED tailgate light bar to your vehicle with its 4-pin trailer connection harness, or hardwire it to your vehicle's existing wiring. 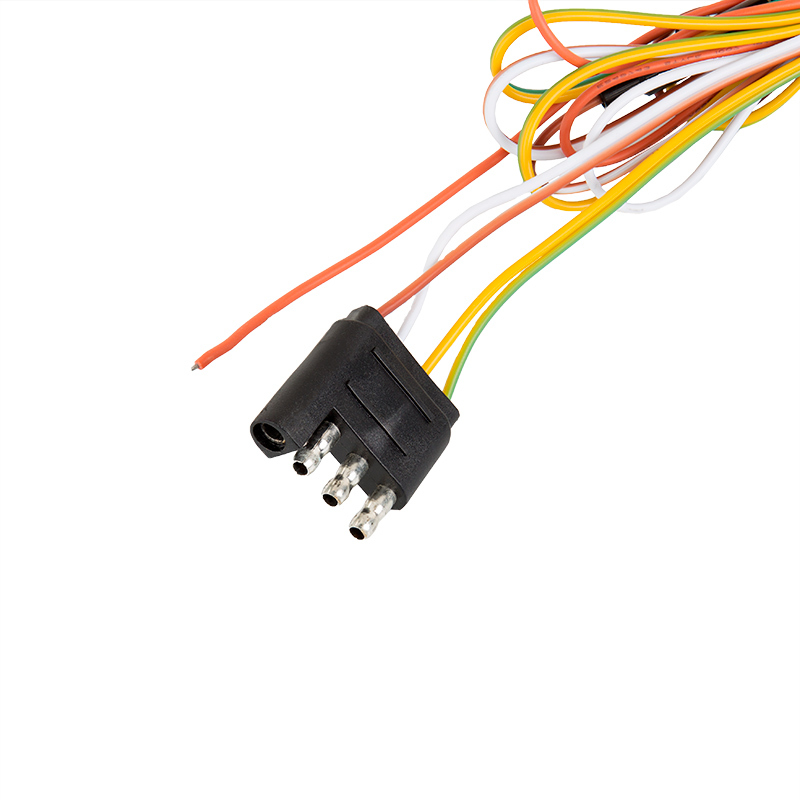 You will need to splice into your vehicle's existing reverse light wire regardless of if you have a 4-pin trailer hookup. 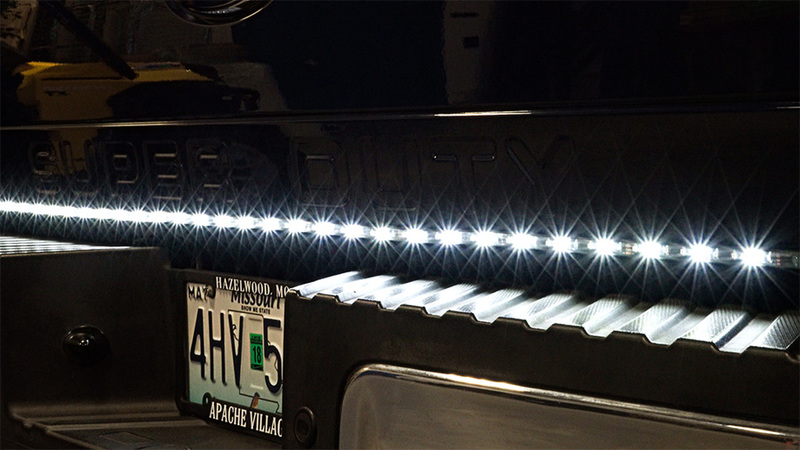 Increase the visibility of your truck, SUV, or Jeep with this LED Tailgate Light Bar. 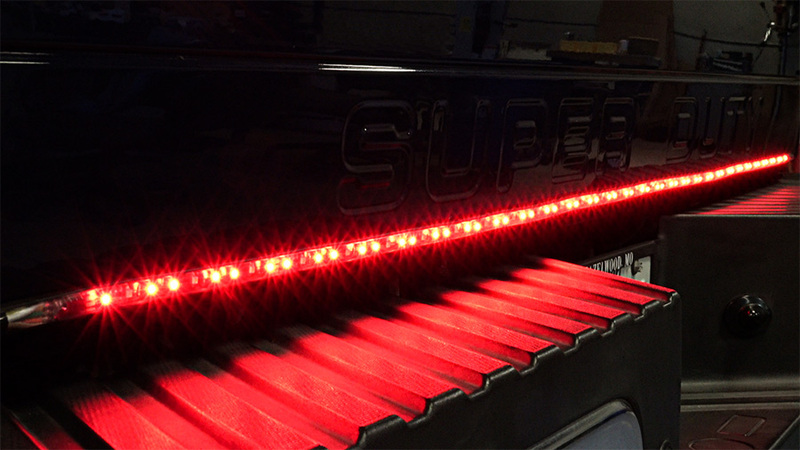 Using a combination of red and white LEDs, the super slim, flexible tailgate light bar functions as a brake light, running light, reverse light, turn light, and hazard warning light. 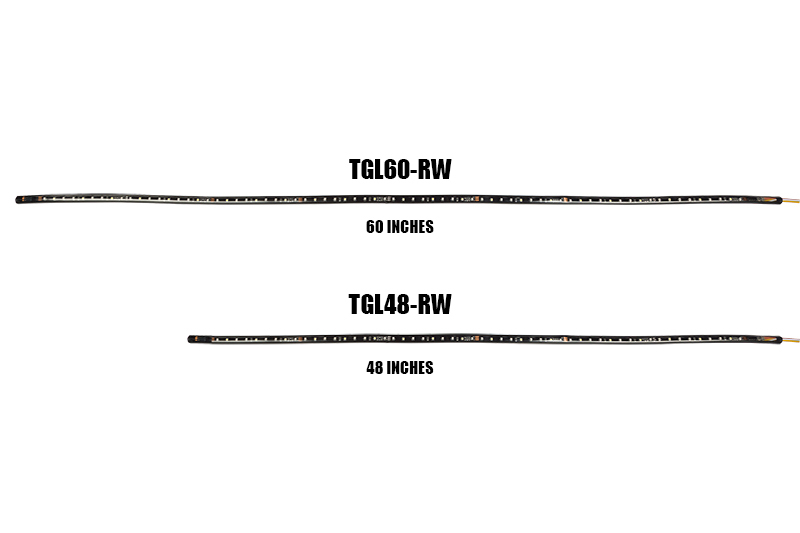 The vehicle light bar is available in 60" and 48" lengths, is weatherproof, and operates within a 12-14 VDC range. 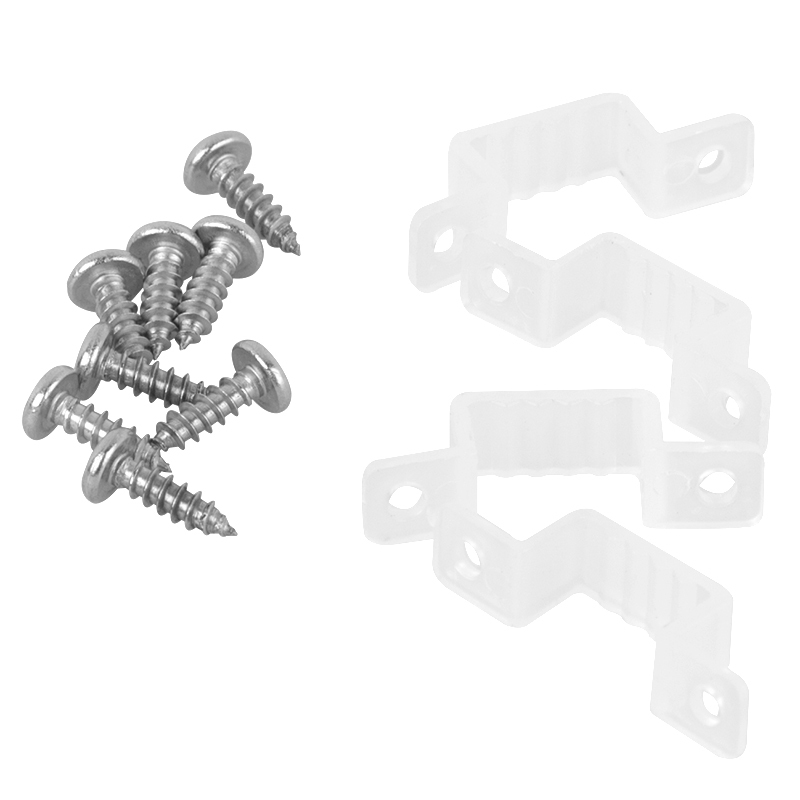 Each light has a strong adhesive backing and comes with mounting clips and screws for added security. 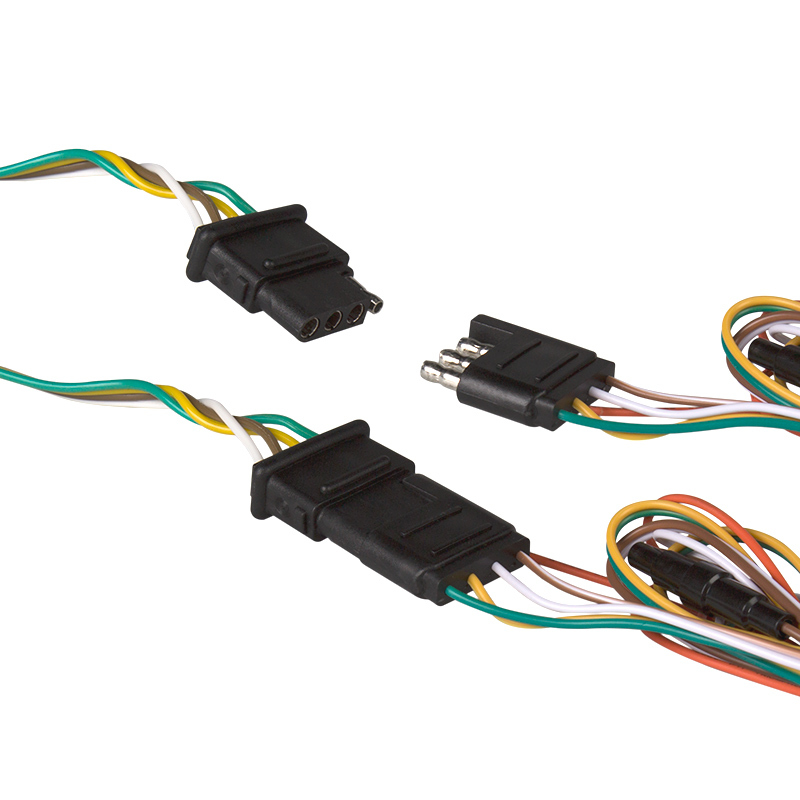 Easily wire the LED tailgate light bar to your vehicle with its 4-pin trailer connection harness, or hardwire it to your vehicle's existing wiring. 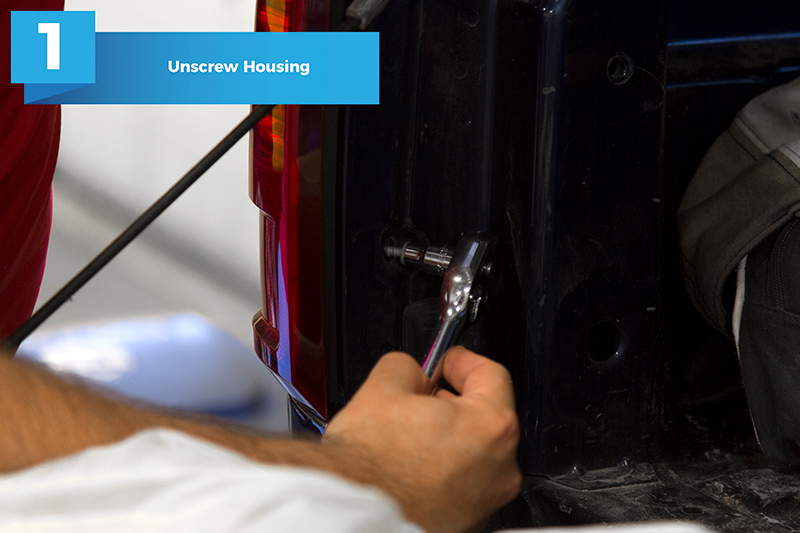 You will need to splice into your vehicle's existing reverse light wire regardless if you have a 4-pin trailer hookup. I had a Recon light bar before but it's mounting tabs all broke off. This light appears to be slightly better quality and mounts with a continuous strip of 3M tape. It is quite flexible so getting it on straight can be a bit of a challenge. I would have liked it better if it was in a rigid housing and that is why I only gave it 4 stars. One tip to make installation easier is to figure out where on the box it will be most visible then remove the tailgate to finish marking and cleaning the box. Goes on easy, wires up easy, and it WORKS GREAT!.. Back up lights all white, turn signals, running, stop, fantastic little strip of LED's.. IF you have a truck, I highly recommend it.. looks great!.. 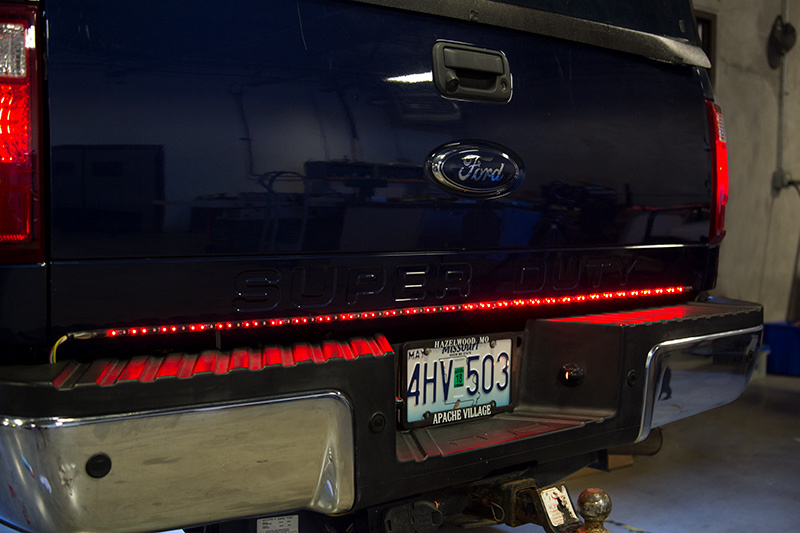 Easy to install, just plug in lights to your 4 way pin. Wakes up drivers behind you. 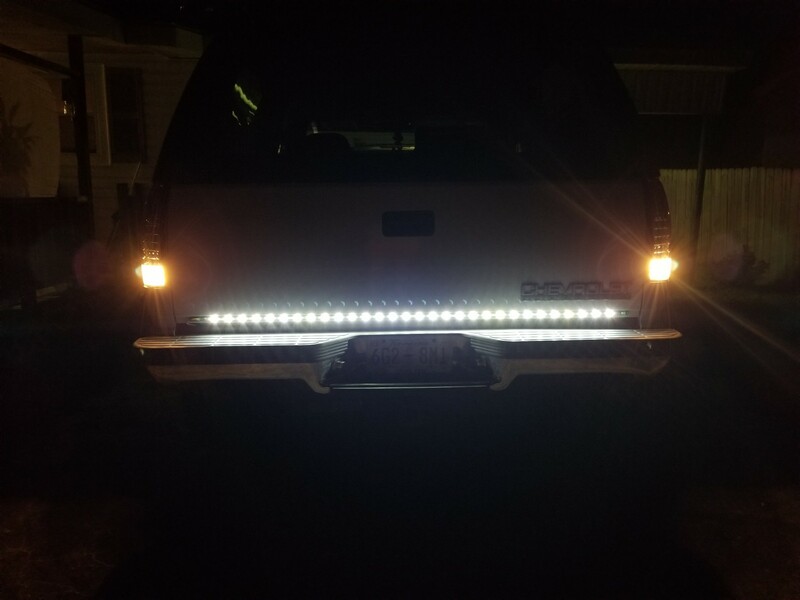 This led strip really added an updated appearance to my truck. It was very easy to install and works great. Would definitely recommend this to others. Shipping was quick and painless. Great all around product and service.